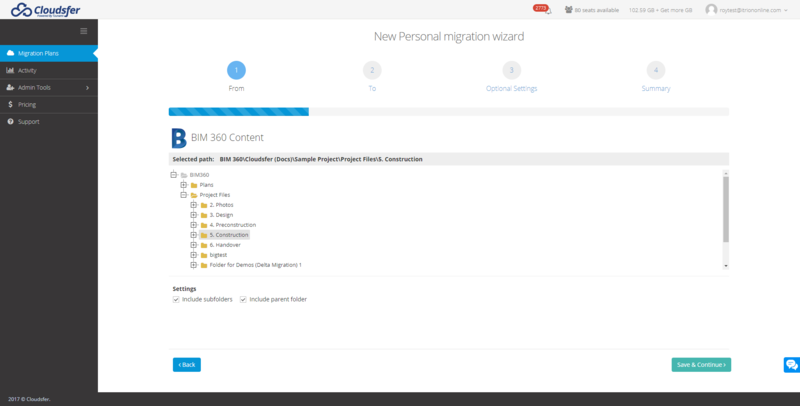 Cloudsfer is a cloud based migration service, supporting over 20 cloud storage providers such as Autodesk® BIM 360®. 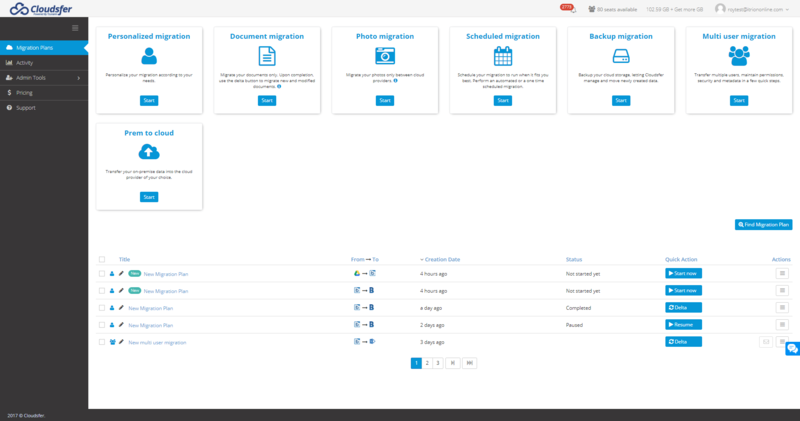 Cloudsfer is designed to seamlessly migrate data, requires no installation, no hardware, and no bandwidth during the migration process. Transfer BIM 360 data in a few clicks. Tzunami Inc. is a leading provider of migration solutions, providing services to large organizations such as the US Army, The White House, The FBI, Airbus, Pfizer, Ford and many more. with petabytes of data under its belt. In 2014, Tzunami created a new cloud storage migration service - Cloudsfer.